Indianapolis, Indiana – In conjunction with non-Indiana co-counsel, an Indiana patent attorney for Eli Lilly and Company, Eli Lilly Export S.A. (collectively, “Lilly”) and Acrux DDS Pty Ltd., sued in the Southern District of Indiana alleging that Lupin Ltd. of Mubai, India and Lupin Pharmaceuticals, Inc. of Baltimore, Maryland infringed on various of Plaintiffs’ patents, including U.S. Patent Nos. 8,419,307; 8,177,449; 8,435,944; 8,807,861; and 8,993,520. These patents have been issued by the U.S. Patent Office. pharmaceutical products worldwide. 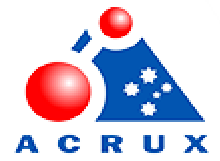 Acrux is engaged in the development and commercialization of pharmaceutical products. They sell their products worldwide. The Lupin Defendants are generic pharmaceutical companies that develop, manufacture, market, and distribute generic pharmaceutical products for sale. At issue in this patent litigation are U.S. Patent Nos. 8,419,307; 8,177,449; 8,435,944; 8,807,861; and 8,993,520. These patents are alleged to cover a testosterone metered transdermal solution used to treat males for conditions associated with a deficiency or absence of endogenous testosterone. This pharmaceutical product, trademarked as Axiron®, is marketed and sold by Lilly. Plaintiffs contend that the Abbreviated New Drug Application No. 208061 submitted in the name of Lupin Ltd. to the U.S. Food and Drug Administration for approval to market a generic version of Lilly’s Axiron product constitutes patent infringement. g) Plaintiffs are entitled to any further appropriate relief under 35 U.S.C.§ 271(e)(4). The case was assigned to Judge Sarah Evans Barker and Magistrate Judge Debra McVicker Lynch in the Southern District of Indiana and assigned Case No. 1:15-cv-01047-SEB-DML. Practice Tip: Information on Lilly’s lawsuit against the Lupin Defendants, which asserts patent infringement relating to the drug Effient, can be found here.